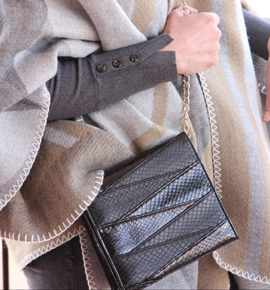 While we love the compact size of an evening purse or a party clutch, we know too well that it can sometimes be a challenge to fit all your essentials. 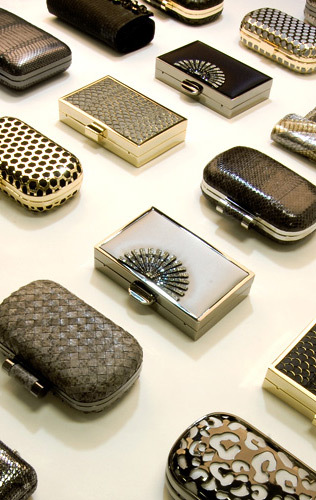 From snakeskin to silk, carved wood to crystals, clutches are our DNA here at Inge Christopher, and we design their every detail not just for looks but for functionality as well. So to help you prep effortlessly, here’s our edit on what to bring to a wedding/party - making it a breeze to squeeze into practically every stylish and fancy clutch. 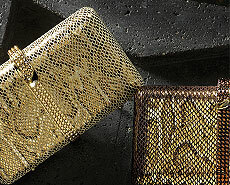 Phone: A challenge of evening purses and clutches everywhere, the ever-enlarging iPhone. My 6 Plus is particularly tricky, sometimes confining smaller clutches to the closet. 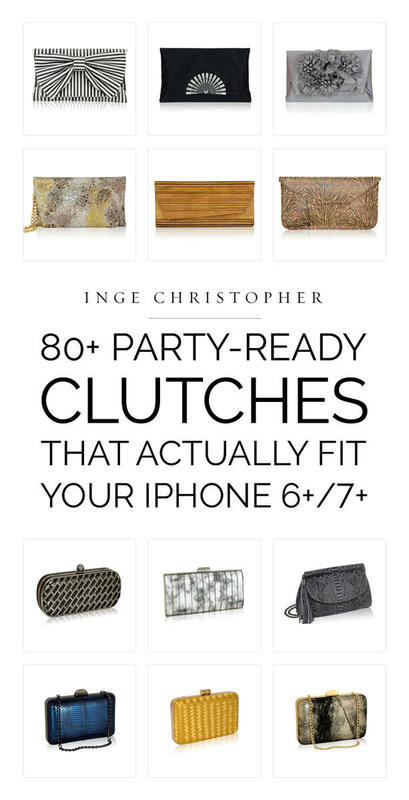 Fortunately this gives me a legitimate reason to buy trendy new clutches made for my XL phone in mind. place and providing extra volume throughout the evening. them in your bag’s interior pocket and you're good to go. off its keychain for maximum space-saving efficiency. Lipstick & Eyeliner: Small yet mighty makeup for a quick refresh. scent before you take it with you! Jo Malone scents are generally fail-safe. be sure to stash a few pieces in your purse to stay minty fresh. 2 Bandaids: For when you realize those heels weren't made for dancing. is super small, goes on sheer, and smells like a smoothie! 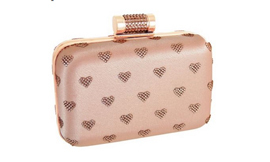 any hand purse for bridal parties, but are an easy squeeze in a jacket pocket. anything? Let us know in the comments. And enjoy all the stylish fun to come!